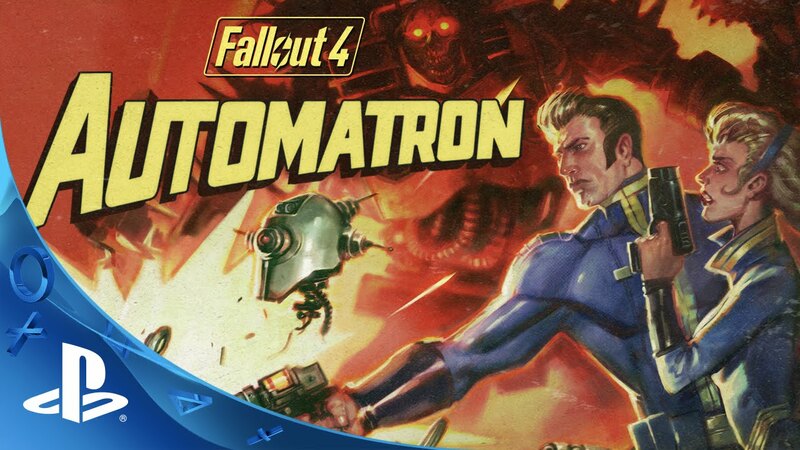 Fallout 4’s first add-on, Automatron, is coming to PS4 on March 22nd, and we’re excited to let you preview the new content with an all-new trailer! This week a select group of PS4 players will be receiving invites to beta test Automatron. If you registered for the beta through Bethesda.net, keep an eye on your inbox this week to see if you got in. I need this beta considering an huge fallout fan I’ve been. And the controversial season pass price hijack. Mods on PS4? VERY interested to see that. You guys (Bethesda) have come a long way as a console developer since the PS3 days. I’m excited to see where you go! Would love to see Fallout 3 and New Vegas Remastered on PS4. A Remaster would be awesome. I never got the season pass and then with the price hike I figure I won’t be getting any add-ons until someone runs a sale on the season pass for the original price, or lower, or else I will wait to see if a game of the year edition gets released a year or two down the road and pick that up on sale for cheaper than all the dlc content together. Thats what I did for 3 and NV. DLC packs are just not worth the amount companies are charging for them IMHO. Full game for $60 and DLC content for $50? better be close to as much content as the entire original game…….which I just cant see happening. Oh, man. 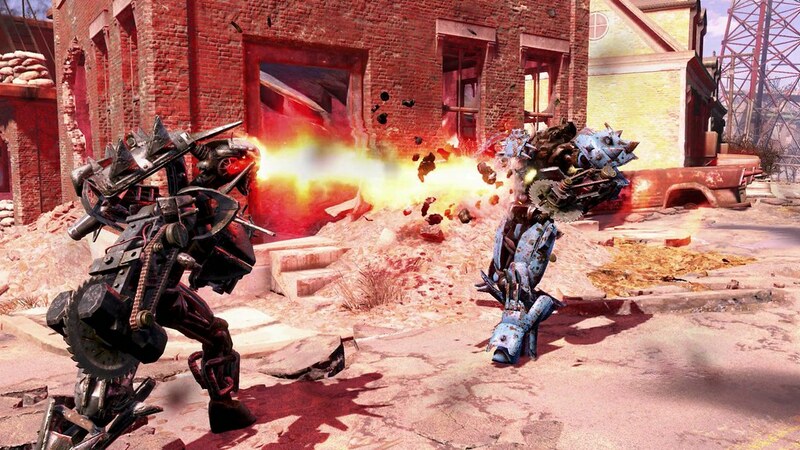 I can’t wait to see what kind of new weapons and armor are coming with the Automatron DLC. 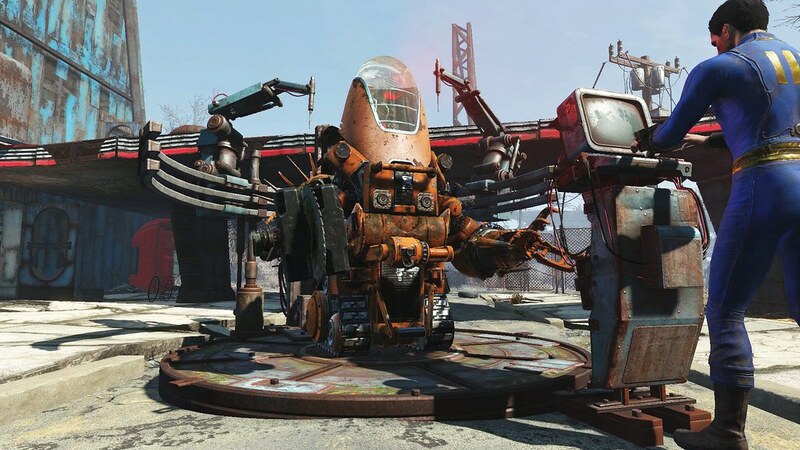 As soon as this launches, I’m starting my Mechanist playthrough build. Is the release for north america really comfimed at 10am PT for PS4 or is it getting released at midnight? What in the 9 realms is going on at sony why if I am not mistaken is the dlc getting held back a day on ps4. What the heck is going on? am i got up earley so i could download and play this but its says “This content cannot b slected at this time.” BS i have to woek in a few hours and wanted to get started but i guess not. Just because you are eager does not make them jerks. But at 230pm Eastern, the DLC still not being available makes it apparent that someone really dropped the ball. I’m not going to throw a fit about it (I WANT to – I feel like crap on a beautiful day and was hoping that destroying and modding a bunch of bots would do something to help), but I won’t. It wouldn’t do any good, anyway. This is pretty suboptimal, though. Hey! Whatever social media intern’s monitoring this comment section: Please pass along our displeasure and our request for some small recompense. If you’re in the US, someone fouled something up and it’s been delayed on our end. Someone a bit further down said that thry called and got a 5pm Eastern estimate. Once again PlayStation owners get shafted. How about Sony releases this already? That’d be great. roughly 3:00 pm est and still nothing. Sony, you are now more than two hours late with the release. At least two hours late with being able to download it that is. Just a heads up, if you want business than stick to your release schedule. Release it, then debug it. The add on is already released around the world. I am slowly switching everything over to my xbox 1 with a 4tb Seagate netbook, it is going to be YEARS before I have to delete a game! Ok the dlc finally made it to us. FYI, if you download it, install it and it still doesn’t show up in add ons just restart your ps4 and it should be there.